Barbara Lewis is passionate about helping her clients. A Realtor for many years, she is one of the most respected and knowledgeable professionals in the country, and the recipient of numerous awards from her company and the industry. 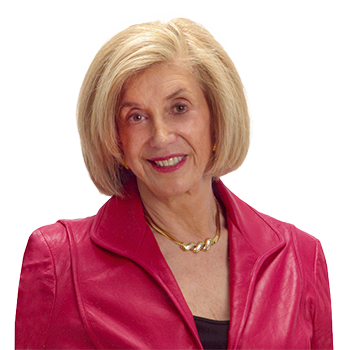 More than anything, however, Barbara loves to help her clients realize their real estate dreams and goals. She has a successful history of expertly negotiating a sale at the very best price for her sellers and helping her buyers find the very best home at the very best price. She has an in-depth knowledge of the market, as well as the experience and attention to details that makes everything go smoothly. Her personal goal is for each client to fondly remember the personal and professional service they received throughout the buying or selling process. Barbara lives in McLean and is married to Warren Lee Lewis, a nationally recognized franchise attorney. They have two daughters; Barbra and Diane. Diane is a partner at The Lewis Team. The family is active in and supports numerous community organizations. Barbara is also a member of Capital Speakers Club, Welcome to Washington, Salvation Army Women's Auxiliary and ARCS (Achievement Rewards for College Scientists-Advancing Science in America). She is most passionate about her work as a member of The Board of Trustees for Joe Gibbs' Youth For Tomorrow, a residential program for troubled teenagers that provides effective counseling, vigorous education programs, and a spiritual environment that empowers youths to transform their lives. A sports enthusiast, Barbara enjoys tennis and plays golf, but only when the weather is in the 70's. She loves traveling, especially to Southeast Asia. Barbara enjoys going to the theater and is an expert at making dinner reservations!